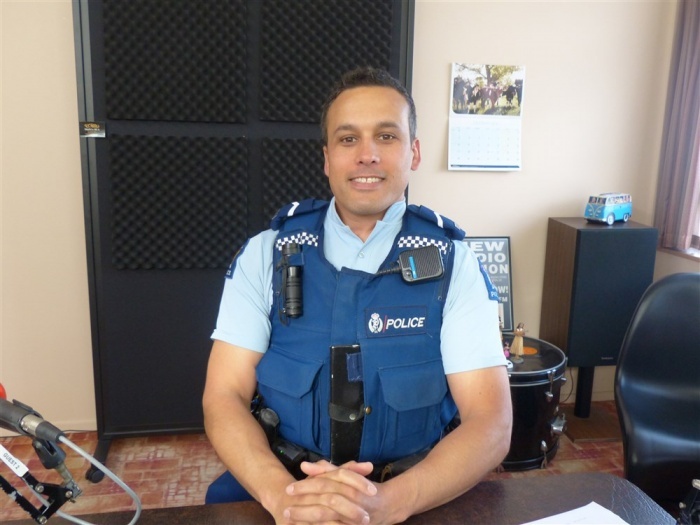 Community Constable Harley North updated the Police File this week. Police attended a burglary that occurred over the weekend at a commercial premise on Roberts St. Property was stolen, two offenders were captured on CCTV camera. Later in the week police recovered some of the stolen property after a search of a Waihi address. Suspects have been identified and police are investigating. Oceana Gold premises were unlawfully entered over the weekend at the Martha open pit and Baxter Road premises. Property was stolen from one scene, two offenders were captured on CCTV camera, police are investigating. A 37 year old Taihape male was trespassed from Bowentown Holiday Park. The male attempted to freedom camp on the premises and refused to cooperate with the campsite staff. He was sent on his way. Police attended a single vehicle traffic crash near the intersection of SH2 and Waihi Beach Road. The driver left the scene prior to police arrival. The vehicle appears to have rolled and crashed into a culvert. The driver has been identified but is yet to be interviewed. Police are investigating. Waihi College was burgled over the weekend and multiple property items were stolen. Police are investigating. Two persons under 20 were processed for driving with excess breath alcohol in the Waihi area. One has been summonsed to Court and the other was issued an infringement notice. A Holden vehicle doing burnouts at Anzac Bay Reserve was found by police. Unfortunately for the driver, the vehicle broke down from overheating. The driver was spoken to and will be issued with infringement notices. A Mazda ute was seized and impounded for 28 days for wheel spinning at Anzac Bay Reserve. Police are investigating and the driver is likely to be charged. A 33 year old Waihi male was arrested for assault after a violent altercation at Rosemont Road. The male allegedly king hit another male knocking him unconscious. The offender left the scene, armed himself with a weapon and returned a short time later. He was arrested at the scene and is facing multiple serious violence charges. He was held in police custody over the weekend for Court on Monday. A 17 year old Waihi male was arrested and charged for a historic burglary at Roycroft Street. He will be appearing in Court soon. A 49 year old Waihi male was arrested for disorderly behaviour and breaching his Court imposed bail conditions. Police found him intoxicated and he had been involved in an altercation at Galbraith Street when he should have been at home on curfew. He was held in police custody overnight for Court in Hamilton. A 31 year old Waihi male was arrested at an Evans Street address on a warrant to arrest in relation to breaching his Court imposed sentence conditions. He was held in police custody overnight for Court in Hamilton. • Be very wary of how much personal information you post on publicly accessible websites. Personal information can be misused in many ways by identity thieves, some of whom trawl websites. Waihi Police are interested in any information relating to crime. For non-urgent matters or enquiries contact Police 24/7 on 0800 780 101 (ask for the Crime Reporting Line) or to remain anonymous call Crimestoppers 0800 555 111, or visit the Waihi Police Station during public counter open hours Monday to Friday 8:30 am to 3 pm. For urgent matters call 111 and ask for police. Listen to our podcast to hear the full Police File interview with Community Constable Harley North.